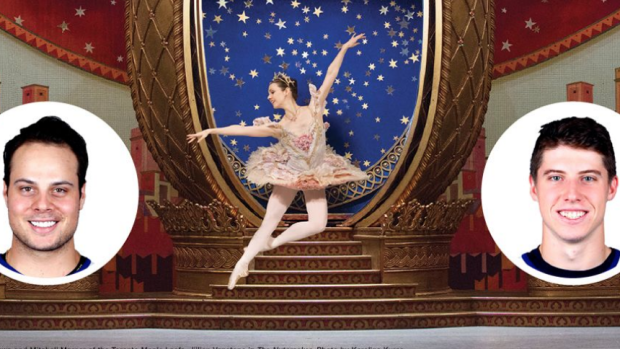 It's December and you know what that means, "The Nutcracker" at the National Ballet of Canada is right around the corner. The Nutcracker runs from December 8th to December 30th and there are celebrities that make guest appearances in it each year as the "Cannon Dolls." This year, two stars of the Toronto Maple Leafs will be making their debut as Cannon Dolls and we couldn't be more excited. That's right, Toronto's dynamic young stars will be performing on a different stage on December 19th and it's going to be fun to see. For those that don't know, Cannon Dolls are colourfully costumed Russian Petrouchka dolls who shoot a cannon into the audience to begin the battle scene in Act I. If you need another reason to go watch The Nutcracker, this reason is as good as any.